jim mathis gave me a copy of his new autobiography, loud music and big pictures. one of the memories he wrote about was the time i said “i’d rather have nothing than settle for less.” i was actually quoting a line from the movie ishtar, where warren beatty is trying to keep dustin hoffman from jumping off of a window ledge– but i was also expressing the fact that i don’t need very much to make me happy, just the simple things in life. jim borrowed that line and wrote a song with his band sky blue. 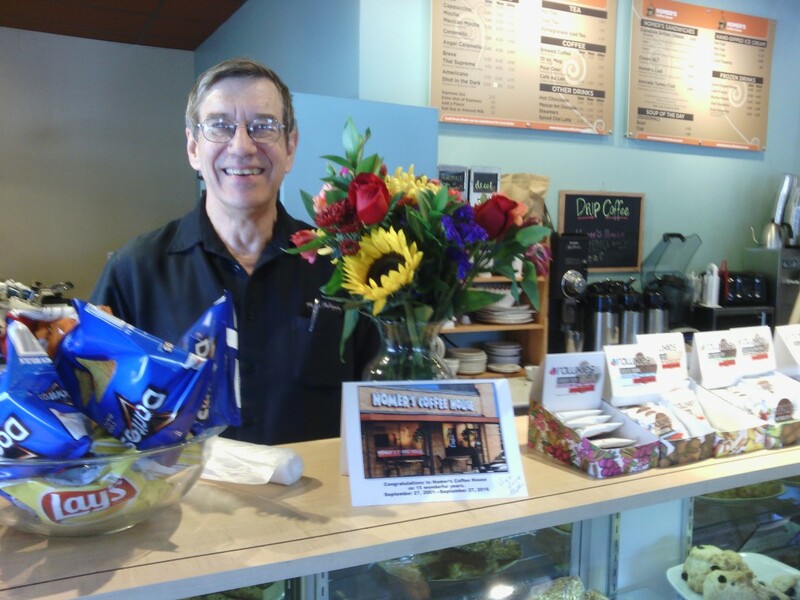 jim mathis came by the coffeehouse today to drop off a card and flowers. 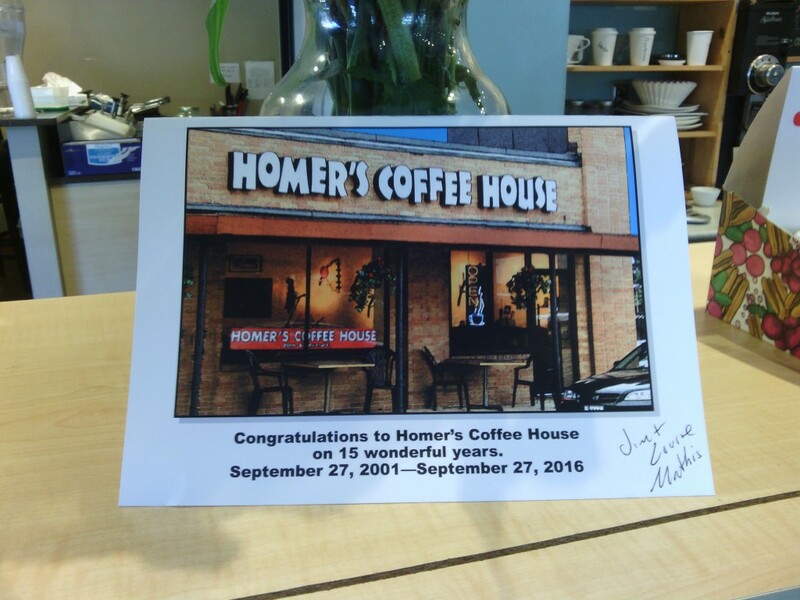 it was 15 years ago TODAY that the first cup of coffee was sold at homer’s. he visited with glenn and vanessa, the current managers, and said “now you two have been here longer than i was.” jim and his wife louise ran the shop for the first 7 years, and glenn and vanessa have managed it for the last 8 years. but then jim looked at me and said, “of course dave has been here longer than anybody.” jim hired me over 12 years ago. 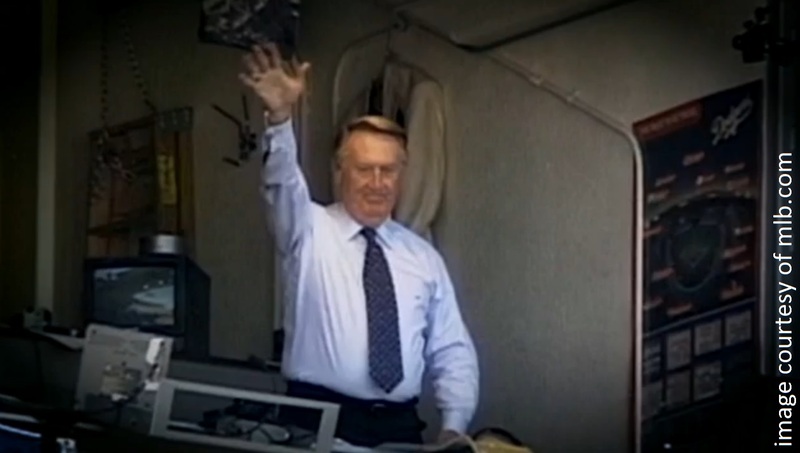 earlier tonight vin scully got behind a microphone to do his last play by play at dodgers stadium. the man had the same gig for 67 years. his voice was the one i heard anytime someone was listening to a ballgame on a radio. when my family left california for oklahoma, i remember the excitement in my dad’s face when he was able to find a dodgers game on our radio, and he knew it was a dodgers game because vin scully was the announcer. 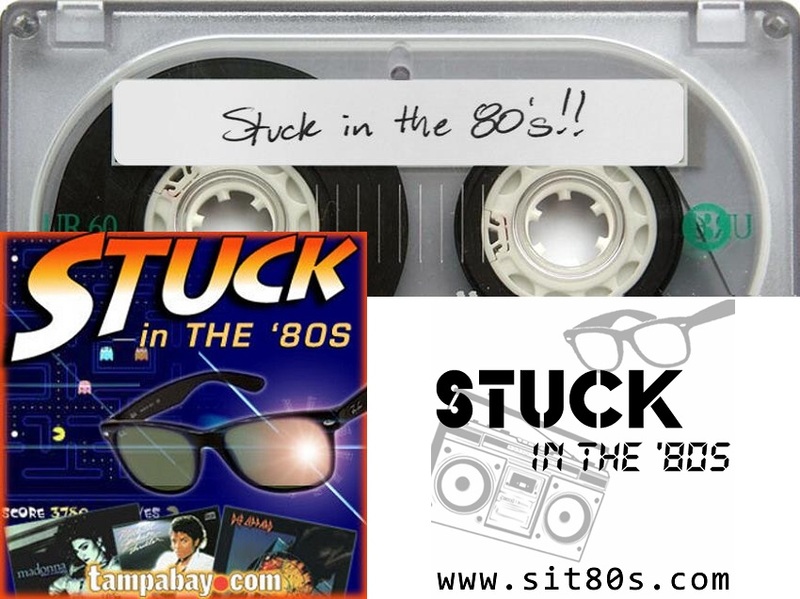 recently i got to be on the stuck in the ’80s podcast! hosts steve spears and brad williams quizzed me on ghostbusters trivia. you can listen to it here and here (for some reason my server won’t let me upload the whole segment together). i was a teenager in the ’80s. my high school experience was fun, but it could also be humiliating. 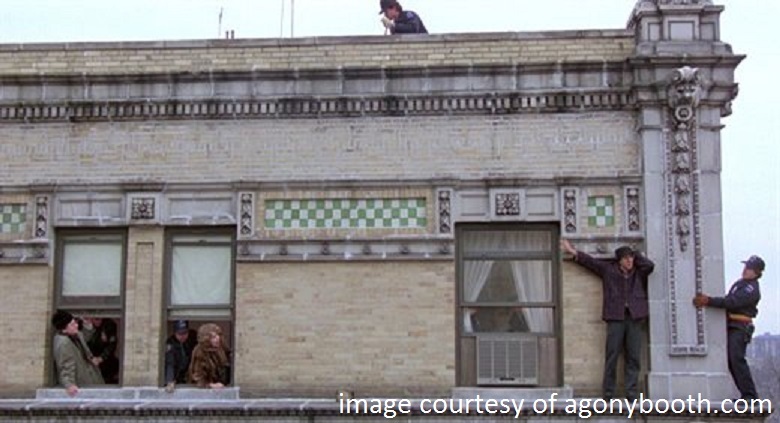 things weren’t always pretty in pink, and there were times i didn’t have someone to hold me now. well that was over 30 years ago, and now i mostly remember the good times thanks to steve and brad at stuck in the ’80s. today is officially the last day of our 2016 vacation. this year we drove south to arkansas, and rented a cabin on lake wedington. the first night the temp dipped down to the 40′s so we got to use the fireplace! the cabin was VERY affordable ($70 a night) and we got to hike on trails, paddle a canoe, swim in the lake, escape civilization, and basically enjoy nature. 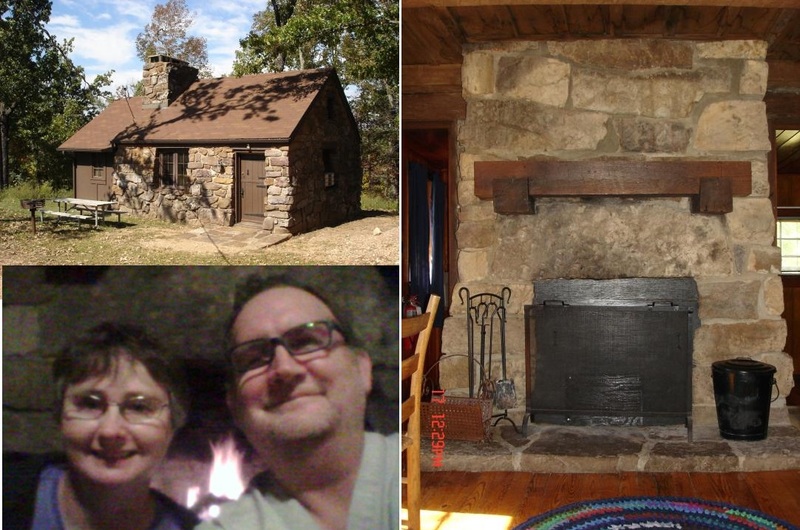 the last time we vacationed in arkansas we started out in a tent, but when it got cold and rainy we rented a cabin. this time we just played it safe. when jenny tries to cuddle with our cat, max, he usually darts away and acts like he wants to be chased instead. one morning she caught him in a mellow mood, and i grabbed the camera. 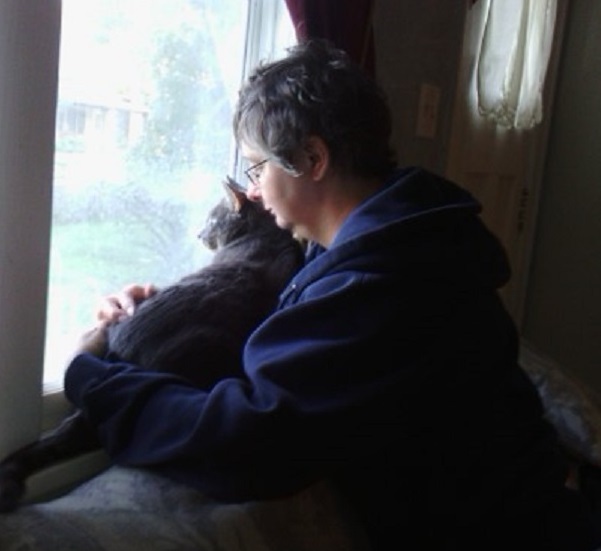 it was almost like the picture i took of her and mojo, three years ago. back in july tim andersen, me, jenny, and drew ryan joined a sold out crowd to see flight of the conchords at starlight. i’ll try to explain the stage act to my two main readers (mom & dad): for the lack of a better definition they are a comedy folk duo… kinda like the smothers brothers. but they are from new zealand, and sometimes their music strays into rock n’ roll. on one of their older songs the conchords asked a couple of guys from the audience to come onstage. those two guys danced like robots during the binary solo of the humans are dead. after the show i got my picture taken with them. 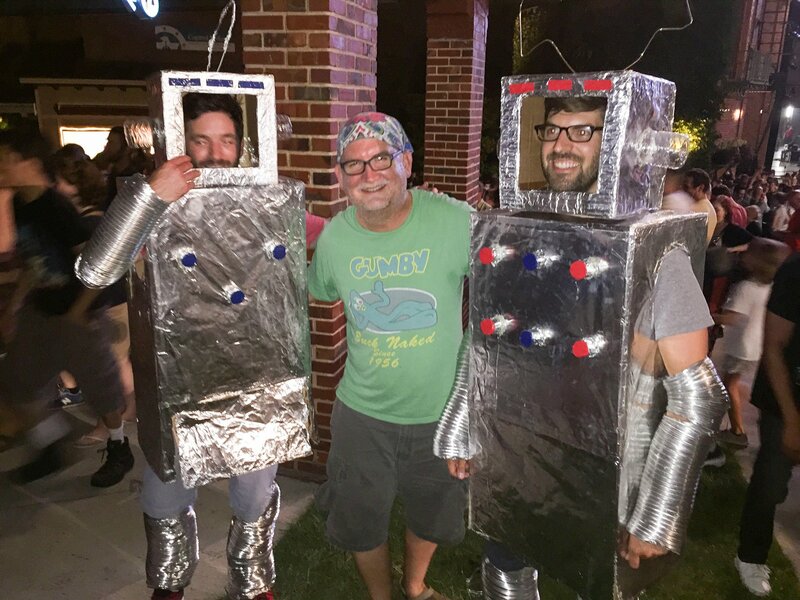 last week we went to first fridays in the crossroads. it was the first time i had gone as a spectator, and walked around with jenny in years. we saw reggie and maddie (above) with their artwork on display. 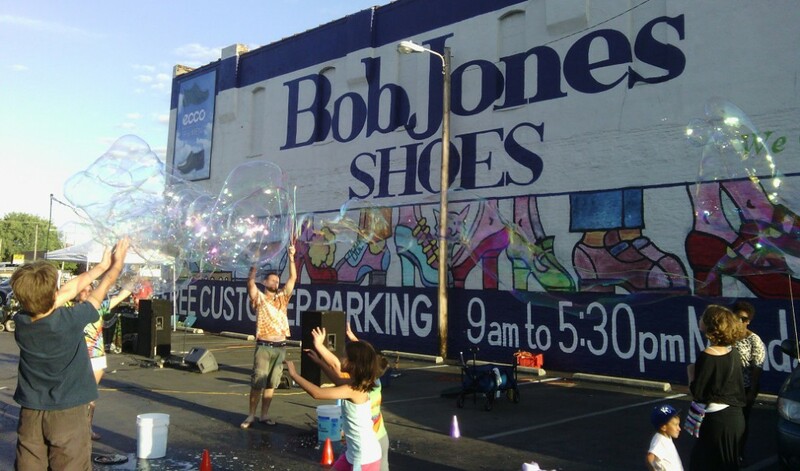 from there we meandered east and saw some HUGE bubble makers (below) one of our destinations was the rosalynn gallery where penny fairman’s art was up. 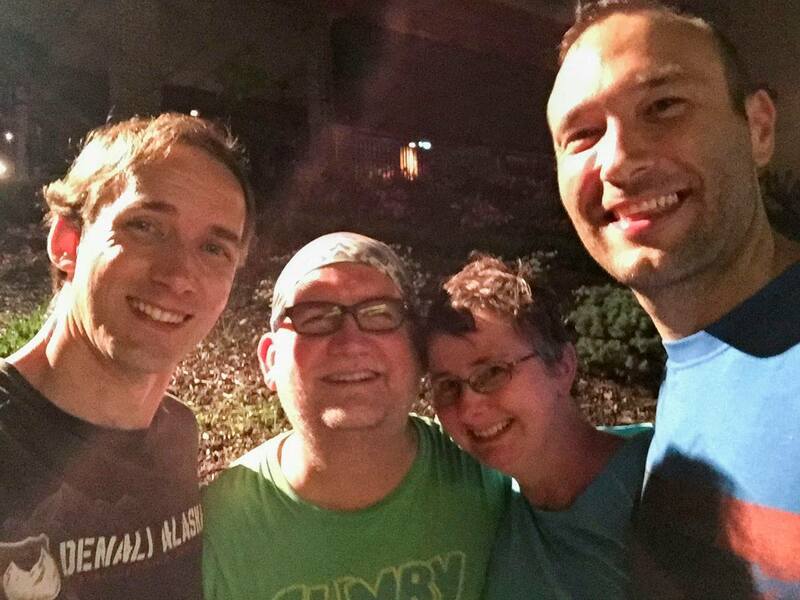 later that night we saw old friends, bands on the sidewalk, and a michael jackson impersonator. today i found out that i’m older than star trek. i knew i was born the same year the show debuted, but i didn’t know the exact date that it first aired… until today. 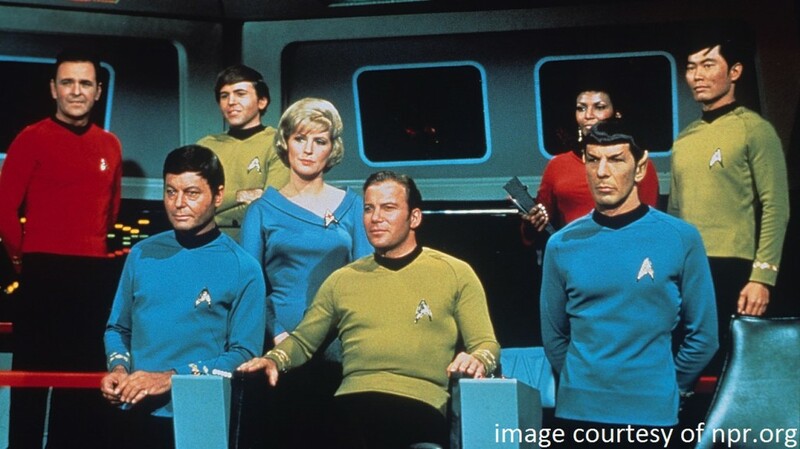 we’re both 50 now, and NPR aired this story on star trek’s milestone birthday earlier this morning. live long and prosper. aside from being an available name for a band (it really IS available, i checked!) the flush formula that i’m holding above came from an audiologist. 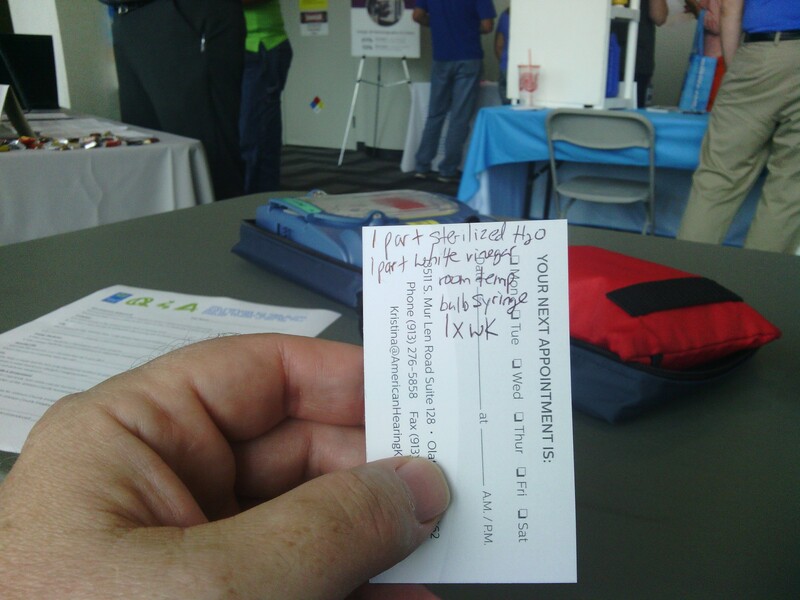 i had a CPR table at a health fair today next to kristina, who is an ear specialist in olathe. she looked in my ears with an otoscope, and said the left one was pretty waxy. then she gave me instructions to flush out the wax before the build up gets out of hand.